Two years later, he gets his teacher diploma at piano. Like most musicians, Osmar wants to leave in Buenos Aires. He moves there in 1938 and joins Nolo Fernandez orchestra. It works quite well for him; at the end of 1939 he gets a contract with LR3 and Radio Belgrano to play tango and classical music. This opportunity allows him to meet with Miguel Caló who needs a pianist to replace Héctor Stamponi. In 1940, Osmar Maderna joins Miguel Caló orchestra and brings some new arrangements, more rhythmical, brighter and also faster. 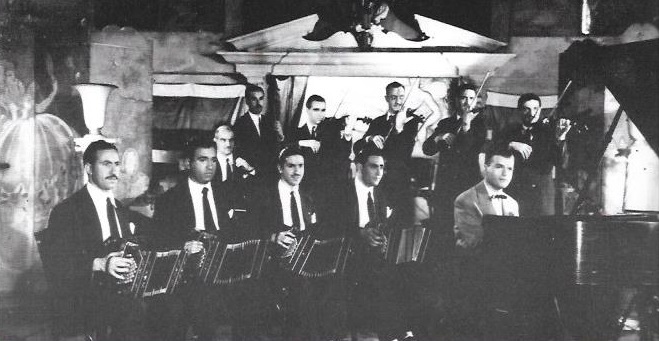 This is also the opportunity to play with few of the best tango musicians that later became famous orchestra directors: Enrique Mario Francini, Armando Pontier, Domingo Federico. Miguel Caló orchestra will also be known as “La orquesta de las estrellas” (The orchestra of the stars). As a pianist and arranger of Miguel Caló, Maderna left 80 recordings between 1941 and 1945. Osmar Maderna and Raul Iriarte leave Miguel Caló orchestra in 1945, to make a duo together. Despite a successful start, they have to split. Raul Iriarte comes back with Calo and Maderna stays alone, but not for long… He creates his own orchestra and starts playing at café Marzotto with the singers Luis Tolosa and Orlando Verri. With the label Sondor (Uruguay) he records Chiqué, Sólo cerrazón, Viejito Calavera and Margo. 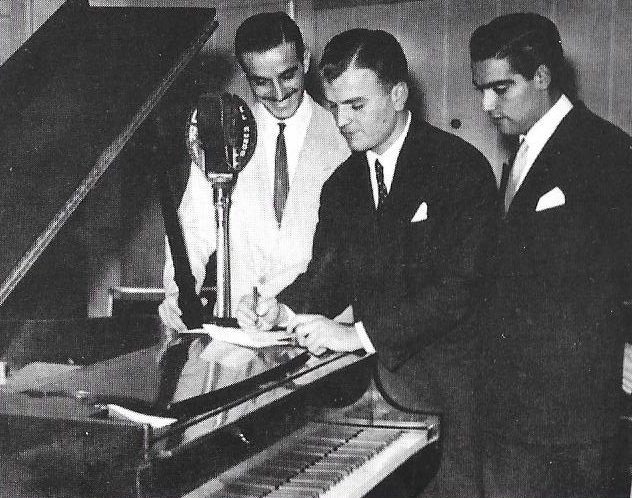 Until 1951 he performed 52 additional recordings with RCA Victor and the singers Orlando Verri, Pedro Datila, Mario Corrales (later renamed Mario Pomar with Carlos Di Sarli), Héctor de Rosas and Adolfo Rivas. 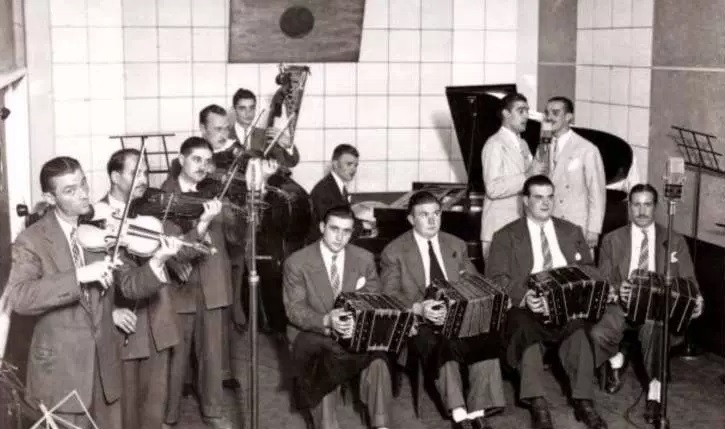 See the timeline on El Recodo Tango Music for a better view of his recordings and singers. In addition to music, Osmar Maderna also loved flying and had his pilot license. This 2nd passion appears in some of his works: Escalas en azul, Lluvia de estrellas, Luna de plata, Fui Golondrina perdida, Concierto a la luna. 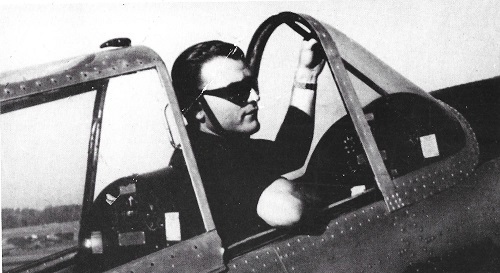 28th April 1951, Osmar dies in a plane accident. He was only 33 years old. Therefore, looking at Maderna orchestra, we will logically find the same criterion as Miguel Caló recordings. A traditional style with 4 mostly regular accents per bar (), which makes it perfect for dancing, sometimes a syncopation () or a “3-3-2” () can enrich the rhythm. We can also recognize the same ending with an arpeggio at piano (). As for the Orquesta de las Estrellas, the melody is very present and the musicians can also express themselves and shine with some beautiful solos. With Maderna orchestra, the piano is more present with magnificent solos. L.Federico continues: “Osmar was very confident playing piano; his mistakes were very rare”. As extreme examples, tango fantasias such as El vuelo del moscardón, Concierto a la luna or Lluvia de estrellas, let absolutely no doubt about the originality and virtuosity of “El Chopin del tango”. Aquiles Roggero was born in 1915 in Pehuajó, where he met and became friend with Maderna. 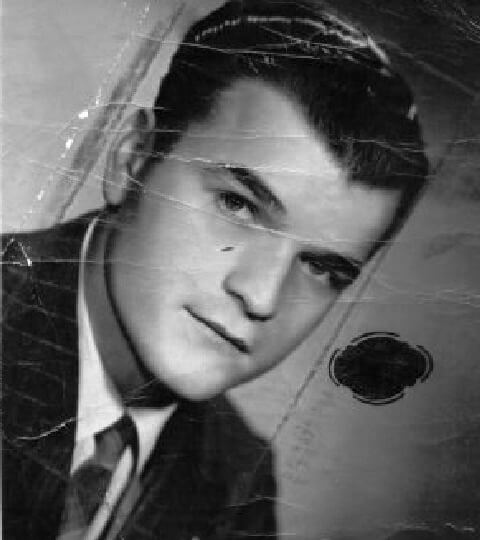 Later he was part of Maderna orchestra from 1946 until the end. When Osmar died, Aquiles Roggero continued with Maderna style as conductor and arranger of the Orquesta Símbolo Osmar Maderna. This orchestra recorded for Pampa and RCA Victor labels until 1960. The Orquesta Símbolo appears again in 1968 with the label Forever, for 2 recordings with Héctor de Rosas plus 2 instrumentals. The orchestra left 53 recordings in total.